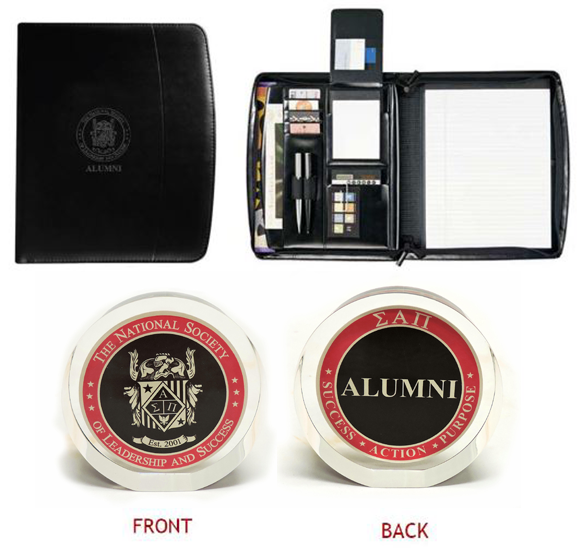 May is undoubtedly one of the busiest and exciting months on the academic calendar. With final exams top of mind, induction season in full swing, Memorial Day right around the corner and summer plans being made, it’s safe to say there are a lot of activities swirling around you. Whether you will be finishing your last exam of the semester or experiencing your final lecture as a student, you may be feeling optimistic, excited or perhaps even a little nervous. Many of you aren’t sure what life will be like outside of school, as you have been working on your education nearly your entire lives. Regardless of whether graduation is this year, next year, or beyond, the time will soon come when you are presented with a world of endless opportunity. 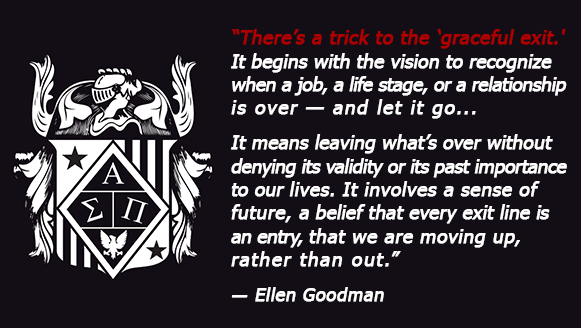 It’s important to realize now that you get to write the beginning of the next chapter of your life, so embrace it! While it’s important to recognize that your past experiences cultivated the person you are today, don’t ruminate on the chapter that has passed. Instead, focus on the future. It is true that the journey ahead may not be easy. There will be struggles and even failures. These challenges will make it difficult for you to see anything other than the closed door behind you. You may not always have control over all situations, but you do have control over your attitude and outlook. Your doubts, fears and negative thoughts will paralyze you if permitted. To avoid that fate, you must first train your mind to detect the moment when your focus shifts downstream and becomes self-defeating. Simply ask yourself if these thoughts and feelings you are experiencing are helpful. If they aren’t guiding you toward your goals and instead inhibiting you from moving forward, then it’s time to refocus and shake off the negative thoughts. Literally, get up and change your current physical state. Jog in place for 60 seconds while listening to Bill Conti’s “Gonna Fly Now.” Dramatically changing your physical state is a powerful method to interrupt your negative thought pattern. After all, the best way to forget about anything is by focusing on the positive. This month I want you all to remember that today is the first day of the rest of your life. Be a better you than you were yesterday and begin writing the next chapter of your life the way you want it to be told. 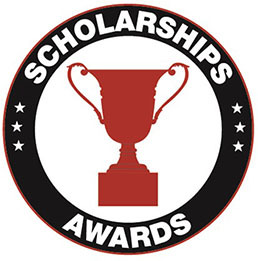 The Spring 2016 Scholarships and Awards recipients will be announced on Thursday, May 12th. Stay tuned to see all of Spring 2016’s winners featured in the June 2016 Newsletter. To see all of 2015's winners, click here. 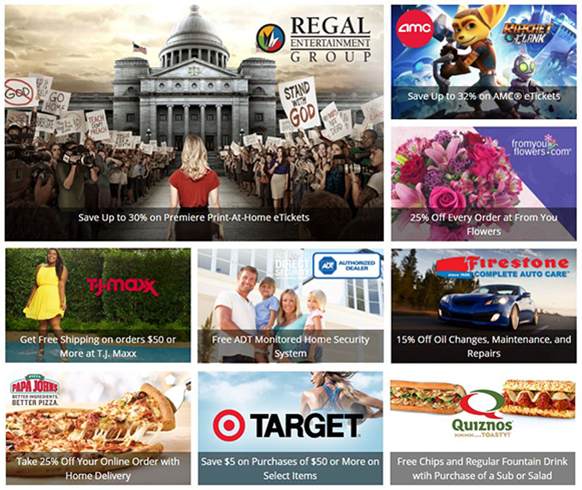 Our members enjoy private access to corporate-level discounts on everything from pizza and the zoo to movie tickets, car rentals and hotels. With over 289,000 offers across 10,000 cities and easy mobile access, you'll always have a reason to celebrate your savings! The Society is proud to present the latest episode of our "Thought Leader Series," featuring Sophia Mendelsohn, Head of Sustainability for JetBlue Airways. Sophia sat down with Charles Knippen, the President of The National Society of Leadership and Success, to talk about the importance of green initiatives, her worldwide journey to protect the environment, and to share some helpful networking advice for students. Click below to watch. On Wednesday, April 6th, the President of the Society chapter at SUNY Sullivan, Johnathan Murphy, was one of two students presented with the 2016 Chancellor’s Award for Student Excellence at a ceremony held in Albany. 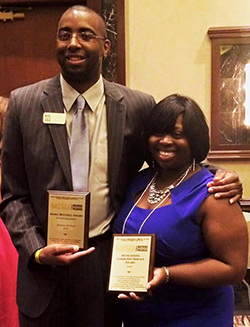 Johnston Community College Chapter President Mario Hobbs and Society member Shenika Thorb won excellence awards at the recent North Carolina Comprehensive Community College Student Government Association (N4CSGA) conference in Durham on April 1st. 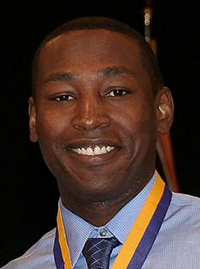 "I was surprised and shocked, but I am so honored and grateful to represent JCC and receive this award," Hobbs said. 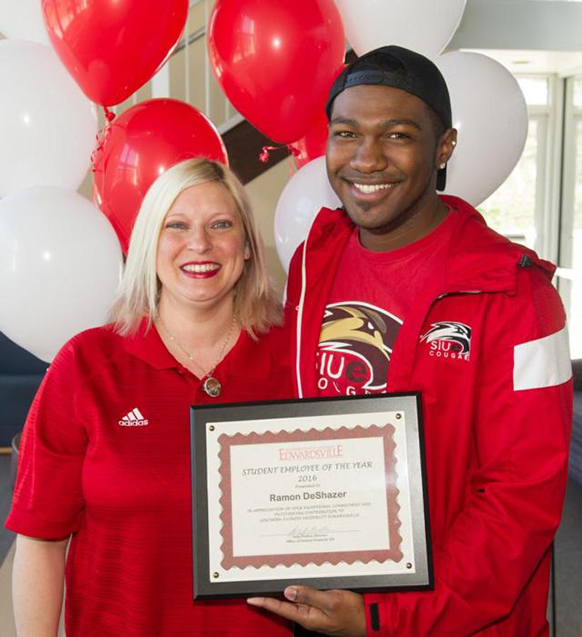 Southern Illinois University Edwardsville Chapter President Ramon DeShazer has been honored by the Office of Student Financial Aid as SIUE’s 2016 Student Employee of the Year. The award recognizes DeShazer’s tremendous contributions and dedication to his position in University Housing’s Cougar Village. “Mr. DeShazer is more than dedicated to his position and displays an exceptional work ethic, which he does with a professional and positive attitude,” Jennifer Hoxsey, chief clerk in University Housing’s Cougar Village, said in her nomination letter. On Saturday, April 23rd, the Society chapter at Ivy Tech Community College-Central Indiana held its Spring 2016 Induction Ceremony, recognizing 75 new inductees. 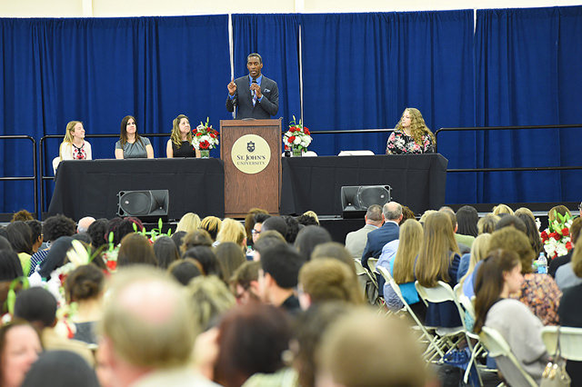 On Monday, April 25th, the Society chapter at St. John's University held its Spring 2016 Induction Ceremony featuring former NBA player, ESPN announcer, and Society Broadcast Speaker Stephen Bardo as the keynote speaker. 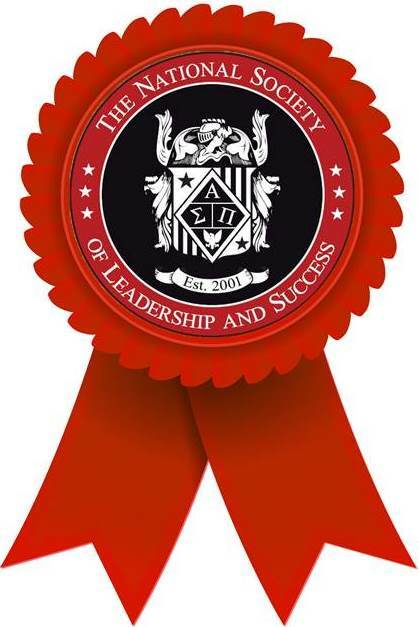 The chapter inducted 380 students, awarded 73 members with the National Engaged Leader Award (NELA) and had close to 500 people in attendance. 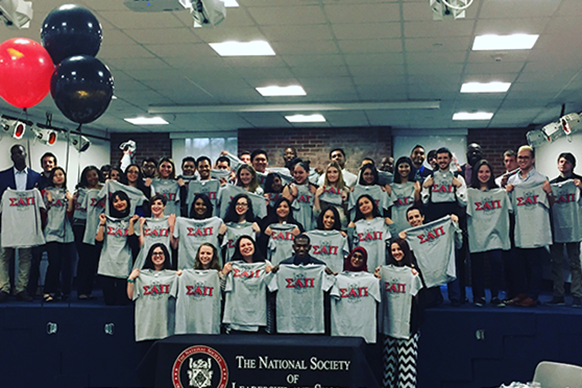 The newly established Society chapter at NYIT Old Westbury inducted 108 members between its two induction ceremonies held on Wednesday, April 20th and Thursday, April 21st. On Saturday, April 23rd, the Society chapter at Texas A&M University-Corpus Christi inducted 96 students at its Spring 2016 Induction Ceremony. In addition, 19 students received the NELA and 16 students were presented with the Success Networking Team Facilitator Appreciation Award. 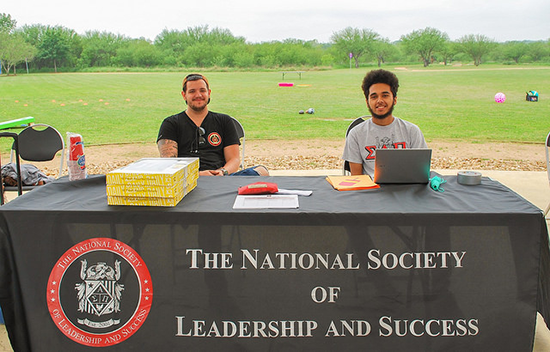 On Friday, April 15th, the Society chapter at Northeast Lakeview College gathered for a team building/social outing. Tug-of-war, giant jenga, corn hole and relay races were just a few of the activities enjoyed by the chapter's members. 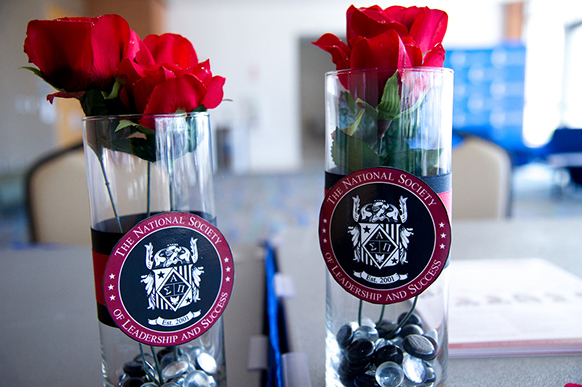 To view more images from these events, as well as recent activity from our Society chapters at Chapman University, Mount Aloysius College, Mercer University - Atlanta and Spring Hill College, visit us on Flickr.